Think Amalek: Israel’s Final Solution? Wednesday, June 3, 2009, in a week comprising the 42nd anniversary of Israel’s swift and almost biblically overwhelming defeat in six days of the converging forces on all her frontiers of Egypt, Jordan, Iraq, and Syria, President Obama met face to face with King Abdullah of Saudi Arabia. Today (Thursday), he is in Egypt where he delivered a speech broadcast to Muslim predominant nations of the Middle East. He defined his words as a new beginning in the search for peace in the region. Anniversaries are significant foils in that region for making political statements. Though the Western corporate media do not take much stock in it, I can assure you Arab and Persian Muslims and especially Jewish Israelis are taking note. Obama is clearly NOT visiting Israel, but speaking today in Egypt, the land that fielded the largest army 42 years ago during the Six Day War in 1967 and lost the largest Arab air force, nearly all destroyed on the ground in a few fireball pocked and terrifying hours by a preemptive strike of Israeli jets. No country in the modern Middle East had so quickly and completely surprised and destroyed an enemy force threatening invasion than the Israelis 42 years ago this week. Yet here is Obama, making his most important offering of dialogue in a Muslim country that once sought Israel’s destruction but met Israel’s preemptive mailed fist before they could launch. Here is yet another opening stride in lofty rhetoric from Obama declaring, “A new beginning” in US-Muslim relations this time. It was another gesture towards a good start, another eloquent first step, like all the other first steps towards solving the investment-banking crisis, the back door nationalization of General Motors becoming Government Motors, the health care hurdle. The call in Cairo to start a new beginning wrapped in shining oratory is yet another broadly defined first step taken in a journey of a thousand miles of pain and revolutionary change, rife with disaster and resistance, but ultimately one that all must embark upon. Soon the in every inaugurating speech about change coming in this or that problem, every new rendition of broad definitions of the problem and broad goals delineated, must at last lead to the actual “doing” — from talking to the walking through all the other harder steps in a journey of 1,000 miles to come. Words must become work and it better work, soon. The right wing, and some would say staunchly Zionist-supremist leaders of the new Israeli government, are watching Obama’s progress. Last week Israeli Prime Minister Netanyahu had already met Obama in Washington and behind closed doors was briefed on the new course towards diplomacy and containment of Iran, intended by the US President “after” Iran achieves full nuclear capacity. Journalist Jeffrey Goldberg, writing in the New York Times Op-Ed section several days before Obama flew off on his diplomatic mission to Saudi Arabia and Cairo, reminds us that Netanyahu has not strayed from what he has openly mused for years if he should again be Israel’s prime minister. Goldberg says Netanyahu is not bluffing. He will attack Iran if they reach full nuclear capacity and he could do this before the end of 2009. 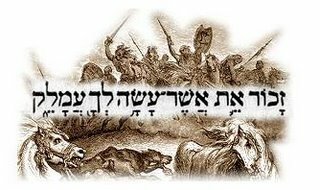 Amalek was a nation that sought to wipe out the Jews and in turn were completely wiped out — down to the last man, woman and child — with Yehovah’s power and blessings in the sword slashing hand of Hebrew warriors. Samuel said to Saul, ‘The LORD sent me to anoint you king over his people Israel, Now listen to the voice of the LORD. This is the very word of the LORD of Hosts: “I am resolved to punish the Amalekites for what they did to Israel, how they attacked them on their way up from Egypt. Ahmadinejad in Farsi left the threat of “wiping” Israel off the map open to interpretation. If one reads the full context of his rhetoric he covers himself from saying he openly desires the complete destruction of the Israeli people, just the disappearance of the political body called “Israel” when Palestine is restored and the Jews must either live in a reconstituted Arab Palestine or return to Europe. At least Netanyahu, even as a secular Jew not usually waxing eschatologically religious, makes his position blunt and biblical. If he means Iran stands for Amalek, then he sees all Iranians as fierce enemies of Israel and he is talking of a complete holocaust for the Iranian people, every man, woman, child and animal, along with all their houses, cities, atomic reactors, and property. In my next installment about Amalek, I will continue reporting the rest of the biblical story and its implications that the press overlooks. Perhaps Netanyahu’s government overlooks it too. They do so at their own peril. PS–The power to bring war or peace to the Middle East is in Israel’s hand. 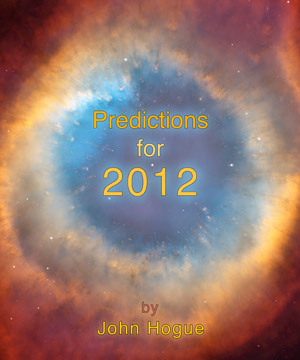 I wrote at length about Israel’s fateful future as it was foreseen by the prophet of Salon-en-Provence, see Nostradamus. This entry was posted in Geo Politics, Middle East and tagged Add new tag, Bible, Cairo, Egypt, holocaust, Iran, Israel, King Abdullah, Netanyahu, Obama, prophecy, Read Amalek, Samuel, Saudi Arabia, Saul, Six Day War, Think Amalek. Bookmark the permalink. Post a comment or leave a trackback: Trackback URL.